Diver / Non Diver Option: Diver Double Occ. Diver / Non Diver Option: Non Diver / Double Occ. Diver / Non Diver Option: Diver / Single Occ. $600 Deposit is required to reserve space, Non refundable 94 days prior to trip dates. "Our own Reef Divers provide the personalized valet dive services that many of our guests don’t even know they want until they experience it. Reef Divers takes the work out of your diving—handling the heavy lifting and care of your boat-dive gear, from your first dive with us through your last dive (unless you’d prefer to do it yourself). We rinse, dry, and store your BCD and regulator daily, so they’re set up and ready for your next day’s diving. The only finger you’ll have to lift is the one to point out your gear as you relax in the boat, ready to go diving. At the top of the dock, we have separate rinse tanks for photo equipment, wetsuits, and general dive gear, plus a drying room for wetsuits so you don’t have to take them to your room. Cayman Islands diving is mostly current-free, which is optimal for new divers, divers who wants to move at their own pace, and underwater photographers who may want to spend their entire dive at one location, waiting for the perfect shot. 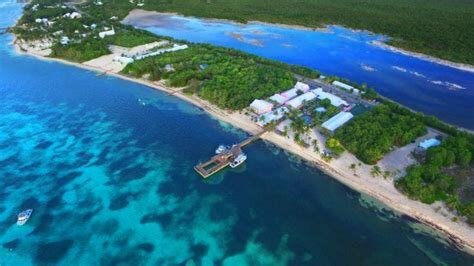 The Rooms: Little Cayman Beach Resort is situated on a white, sandy beach in Blossom Village, the first area of the island resettled in 1833 after Spanish privateers ran off the turtle fishermen who’d settled there.